I am grateful to David Gosman for providing the postcard from the 1920s, and to the National Tramway Museum for the picture from the 1950s, that I have used on this page. 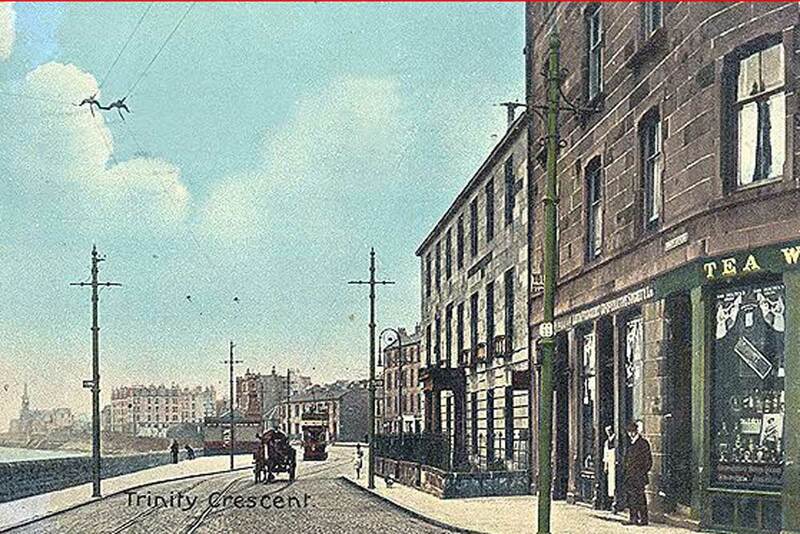 Trinity Crescent, probably some time between 1909 and the early 1920s. This area was used historically as farmland. Much of it was bought in 1713 by The Masters and Mariners of Trinity House, Leith. The origins of Trinity House can be traced back to 1380 – it was established by the ship owners and shipmasters of Leith as a charitable foundation to assist destitute sailors and their families. They obtained an income from a levy called ‘the prime gilt’ on vessels using the port of Leith, but aimed to raise further funds by operating a farm, known as Trinity Mains. They later sold their land to allow building. The roads that are now Trinity Road, South Trinity Road and East Trinity Road seem to have been in existence by 1766, with a few houses. At that time the area was not easily accessible from Leith or Edinburgh and many of the properties were summer residences. To see the picture in 1817, zoom in on the Robert Kirkwood 1817 map in the County Map section of the NLS Maps website . As transport improved, more properties were built, initially mainly large detached houses. 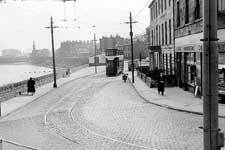 The exception was along the seafront, where terraced houses and some flats were constructed. Over the years, many of the large houses have been demolished and new streets formed with smaller properties. Much of the area is included in the Trinity Conservation Area, and further information is available on the City of Edinburgh Council website. These streets seem likely to have been named after Admiral Lord Charles William Beresford, GCB, GCVO (1846-1919), a well-known public figure at the time the first of these streets were laid out. He subsequently became Baron Beresford of Metemmeh and of Curraghmore in the County of Waterford. Alternatively, one source suggests that the streets may have been named after one of his ancestors, Admiral Sir John Beresford (1766-1844). Beresford Place and Terrace are much more recent, and were built on part of the grounds of Trinity House. This street dates from 1910. This street dates from 1907. This street dates from 1979. The name Caithness is derived from the Earl of Caithness , who was a resident of the Denham Green estate in the 1830s (this was presumably the 13th Earl). The street was named in 1988. These streets were named after a property in the area, Cargilfield. Cargilfield Preparatory School was formerly located here – it relocated to at Gamekeeper’s Road, Barnton, in 1899. The school was established by the Rev Daniel Charles Darnell in 1873. See also the entry for Darnell. This street was named on 11 March 1963. The eastern part of this street is shown on the 1896 OS map, which also shows Cargilfield House, where the school was located, still in existence. 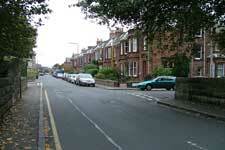 These streets were built on part of Bangholm Farm, owned by the Heriot Trust. Sir Thomas Clark was convener of the Trust᾿s finance committee. This street is the newest of the three by some way, having been formed in 1980. This was the first of this group of streets to be laid out, in 1899. St Serf’s Church was built at the corner of Clark Road and Ferry Road and opened in 1901. These streets were built on the property of the Clerk-Rattray family, who owned an estate at Craighall, near Blairgowrie in Perthshire. Much of this area is in the Victoria Park Conservation area . This street, opening off Craighall Avenue and looking over Victoria Park, dates from 1910. This street dates from 1898. This street is on the 1896 OS map and one source says it was in existence by 1884. 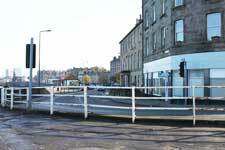 This street dates from about 1831, when it was built as part of a new road to connect Canonmills and Newhaven. It was previously known as The Cut or The New Cut. See also New Cut Rigg. The school now known as Trinity Academy, located just off Craighall Road, was initially named by Leith School Board as Craighall Road School. This street appears to have been in existence by 1892. This street was named after a former resident in West Darnell House (now demolished), the Rev Daniel Charles Darnell, who established Cargilfield School – see the entry for Cargil. This street was named in 1904. These streets were named after a house and grounds owned by Rev Sir Henry Moncrieff, minister of St Cuthbert’s Church, Edinburgh. The house appears on a map dated 1804. The streets later became part of a market garden. The house itself appears on the OS map for 1896, with a greenhouse nearby. This street dates from 1897. The spelling of this name has varied over the years, variants including Lilyput and Lilliput. The name is derived from a house, on the opposite side of Clark Road from the present East Lillypot, where the telephone exchange now is. The house apparently dated from the mid-eighteenth century, but by the mid-nineteenth century most of the ground around it had become a market garden. This street dates from 1988. These houses were built by the Scottish Veterans’ Garden City Association , a charity established in 1915 (during World War I) to provide houses in Scotland for disabled ex-Servicemen and women. The street was named after Earl Haig who was a Field Marshal in World War I. He was a controversial figure, but after the war was involved in setting up the Earl Haig Fund and the Royal British Legion. 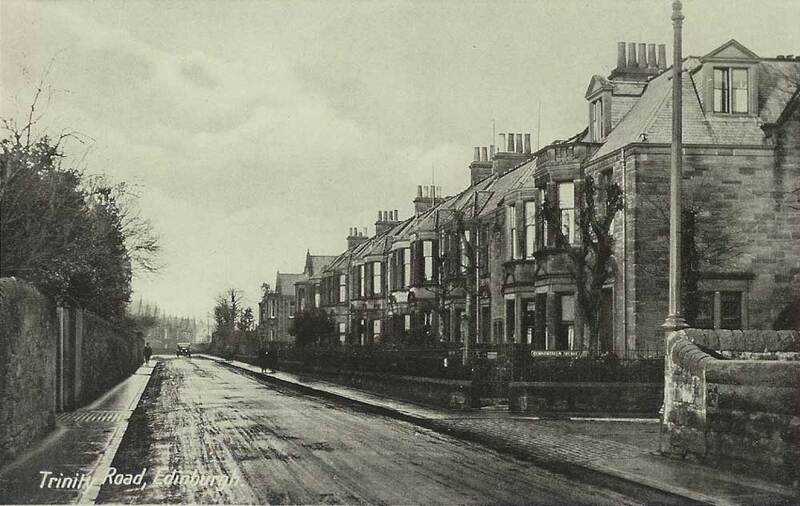 The Scottish Veterans’ Garden City Association later built houses at the Salvesen area, Muirhouse, after World War II. This street dates from 1921. 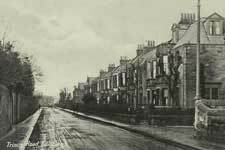 Construction of this street, off South Laverockbank Avenue, was carried out after the demolition of Laverockbank House in 1933. Although it is aligned with Mayville Gardens, the two are not connected, and are separated by a masonry wall. These streets are named after the estate in County Antrim, Ireland, of a former collector of customs in Leith, Alexander Le Grand, who bought the Bonnington estate in 1741. A descendant used the name Grandfield for the Bonnington estate. The streets are built on former railway land, as can be seen on the 1896 map. The main railway line, part of the Caledonian Railway route to Leith, remains as a walkway and passes below Newhaven Road immediately north of Grandville. An existing pub, the Lobster Pot, was renamed The Grandville shortly after these streets were built but appears to be closed at the time of writing (November 2011). This street was named in 1989. This street was named in 1990. This name may refer to laverocks (or larks) having frequented the area. A large house, Laverockbank House,was built here and can be seen on the 1896 map, but was demolished in the 1930s. The first part of this street, at the north end, dates from 1904 but the street was extended southwards in the 1920s. This street dates from the 1920s. Construction of this street was carried out after the demolition of Laverockbank House in 1933. This street was named in 1942. This street was in existence in 1812 and was previously known just as Laverock Bank. Strathavon Lodge was formerly owned by Sir James Young Simpson , the pioneer of anaesthesia. He had hoped to retire there but unfortunately died at the age of 58 before he could do so. This street was developed in 1859. It runs parallel with Craighall Road, but unlike Craighall Road the main part is more or less level with the gradient all being on the narrower northern section. Construction of this street started in the 1920s, and was completed after the demolition of Laverockbank House in 1933. These streets were named after a previous house, which can be seen on the 1896 map, just south of East Trinity Road near the left side of the map. This street dates from 1903. This street dated from 1907. Lomond Place is thought to have been named after a ship, as were other streets in the area. The Ben Lomond has been suggested (a Ben Line vessel), but the first ship of that name does not seem to have been built until 1890. This street was named in 1881. This street, off Laverockbank Road, dates from 1880 and was built on the site of a property known as Mayville, shown on the 1852 OS map. Netherby Road was built on the Trinity Estate, formerly owned by The Masters and Mariners of Trinity House. One suggestion is that ‘nether’ indicates that the street was on the part of the estate furthest from Trinity House. This street dates from 1897. However it was not all built up immediately, many of the houses including those on the west side not being constructed until well into the twentieth century. This name is derived from a former name, still used locally, for Craighall Road – the Cut or The New Cut. The street is built on the site of the former Holy Cross Academy. This street dates from the 1990s (exact date to be found). This street took its name from a house in the area. In 1896 a house of that name was the manse for Newhaven Parish Church, but this may not have been the same building. This street seems to have been formed about 1880, and appears on the 1896 OS map as Primrose Bank. The street contains an interesting mixture of houses, including a red brick terrace dating from the mid 1890s and designed by A Hunter Crawford. This name is derived from a large house that was on the site previously, and can be seen at the very south edge of the 1896 OS map, near to East Viewfield, West Viewfield, Cargilfield and Newbank. This street was named in 1983. This name is said to be derived from a Mr James Russell, who operated a market garden in the area in 1842. This street dates from the late 1850s. This name appears to be derived from Starbank House, nearby, and now in Starbank Park. The park was formed about 1890 on land bought for the purpose by Leith Town Council, as part of programme to create a public park in every ward of Leith. Two previous streets, Starbank Place and Starbank Cottages, were removed to allow this – they can be seen on the 1852 OS map. 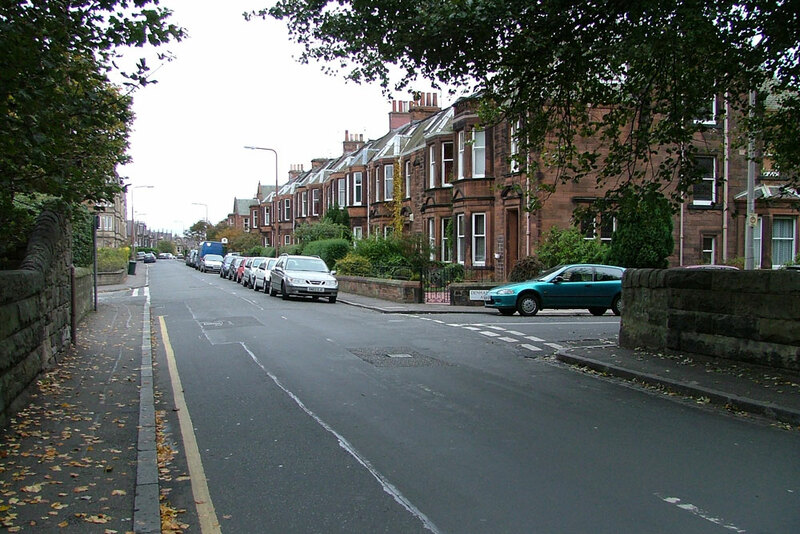 The original wall around the property, up Laverockbank Road, is in yellow sandstone; the part where the former streets were has a wall dating from about 1890 in red sandstone. 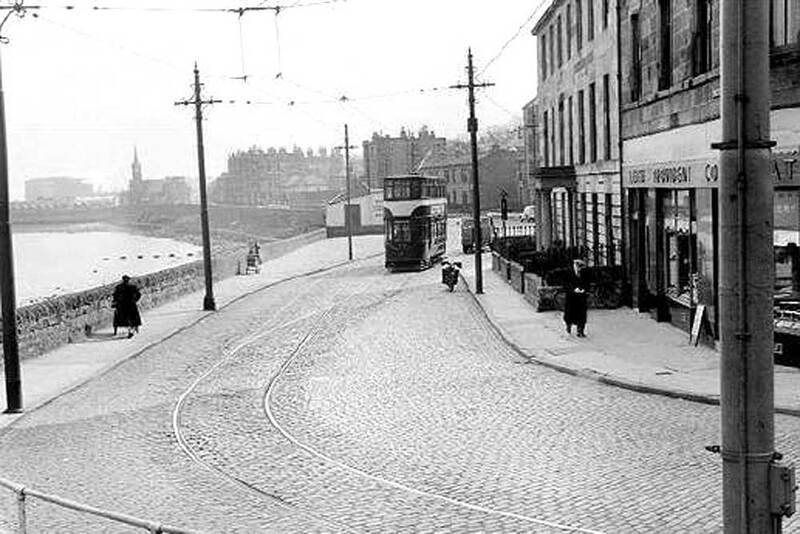 This street forms part of the long-standing coast road between Newhaven and Granton. It does not seem to have been named until about 1904, and is not shown with a name on the 1896 OS map. At that date, the buildings at the east end, near Newhaven, were addressed as Maitland Terrace, and at the west end, near Trinity Crescent, as Albert Terrace (these names are not shown on the 1896 map). Spencer Place was built on part of the Trinity Estate, which had belonged to the Masters and Mariners of Trinity House. The street was named after an elder brother of Trinity House, John Spencer, the 5th Earl Spencer , who was First Lord of the Admiralty and served in William Gladstone’s government. Diana, Princess of Wales, was a descendant. This street dates from 1883. This street was built on the Trinity House estate. Stirling Road was probably named after the vessel Stirling Castle, built in Leith in 1884. Lennox Row, Zetland Place and Lomond Place are also named after ships. This street was built in approximately 1889. These streets derive their name from Trinity House – see the introduction to this page. This street were in existence by 1766, but had acquired its present name by 1896. Previously it had been part of Trinity Road along with the remaining Trinity Road and the present South Trinity Road – an arrangement described in one source as ‘three-legged’. This street was in existence by 1766, but acquired its present name in 1928. Previously, like East Trinity Road, it had been part of Trinity Road. This street, a cul-de-sac entered off Wardie Road, was named on 11 June 1964. Trinity Crescent forms part of the coast road between Leith and Granton, along with Starbank Road and Lower Granton Road. Building started about 1820 but took many years to complete. 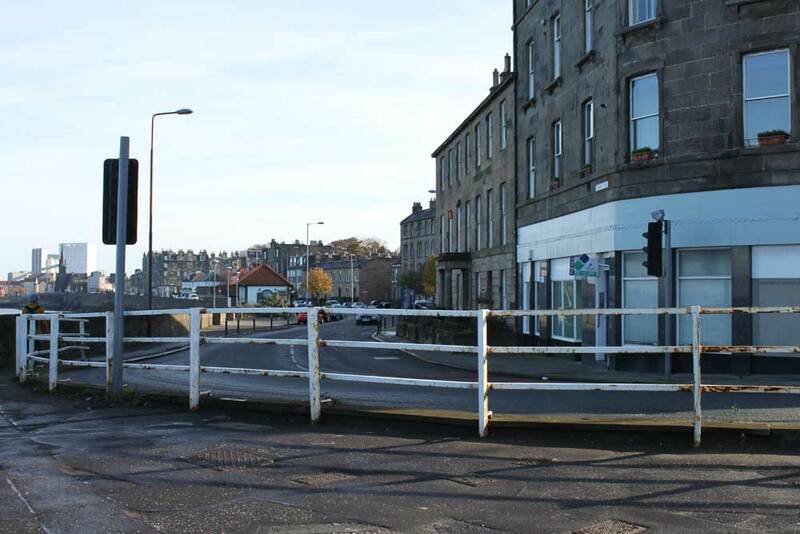 The eastern end of the crescent was re-aligned in the 1840s to accommodate the railway – previously it had continued in a straight line to meet the road which became Lower Granton Road. 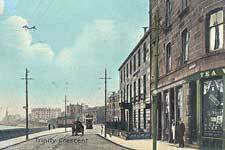 The most notable feature of Trinity Crescent in years gone by was the Chain Pier, destroyed in 1898. This street dates from the late 1920s, and can be seen on the 1933 street map. It was named after the adjacent property on Trinity Road (in the grounds of which it was built and which is also on the map), constructed in 1789 but altered – including by the addition of the tower – in the 19th century. This street, leading to Earl Haig Gardens, is on part of the Trinity Mains estate. This street was in existence by 1766 and is the section that retained its original name. This street, off East Trinity Road, was built in recent years to give access to new properties built in the grounds of Mayfield, which was renovated and converted to flats at the same time. Mayfield dates from the mid 19th century and was previously used as a Cheshire Home. It was at one time the home of Christian Salvesen , founder of the shipping and transport company, who died there in 1911. The origins of this name are unclear – one source suggests that the name is derived either from the City of York or from a personal surname, rather than from the Duke of York. The street dates from the 1820s and contains a number of notable properties. Zetland Place, like other nearby streets, was named after a ship, in this case the Earl of Zetland , built in 1877 and in service until 1946. This street was planned in 1887 and some of the houses were occupied by 1890.